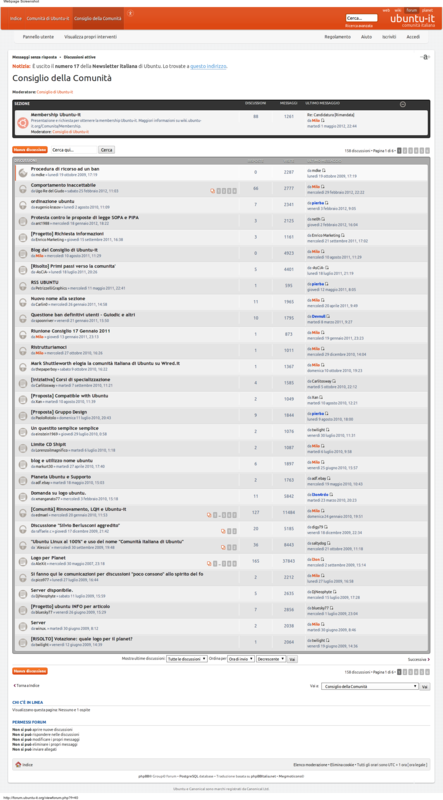 after many many weeks working on forum.ubuntu-it.org, we finally done! 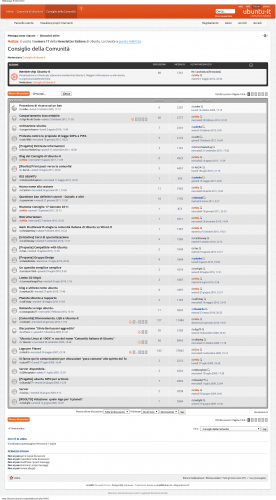 The forum for ubuntu-it.org has been migrated from SMF 1.X (MySQL) to PhpBB3 (PSQL). The entire work has taken more than one month, considering the huge data (almost 5GB database) to migrate. The new theme is inspired to the ubuntu-it website and ubuntu design guidelines, hope you like it. Thanks to #canonical-sysadmin to help me in tuning psql, apache, php, etc… PphBB3 (default) is not so fast with big forums as I expected. This entry was posted in My works and tagged artworks, ubuntu-it on 19 May 2012 by l3on. very nice! Looks like a professional designer has worked here! Concratulation for getting it up and running good.